OEKO-TEX® is a worldwide consistent, independent testing and certification system for raw, semi-finished, and finished textile products at all processing levels, as well as accessory materials used. Examples of articles that can be certified: raw and dyed/finished yarns, woven and knitted fabrics, accessories, such as buttons, zip fasteners, sewing threads or labels, ready-made articles of various types (garments of all types, domestic and household textiles, bed linen, terry products and much more). Dakshin was able to achieve this with only Customers in mind and providing them a peace of mind when it comes in High Quality Products We are proud that Dakshin is one of the very few companies in our field to have Oeko Tex Certified products. The Customs-Trade Partnership Against Terrorism (C-TPAT) is a supply chain security program led by U.S. Customs and Border Protection focused on improving the security of private companies' supply chains with respect to terrorism. 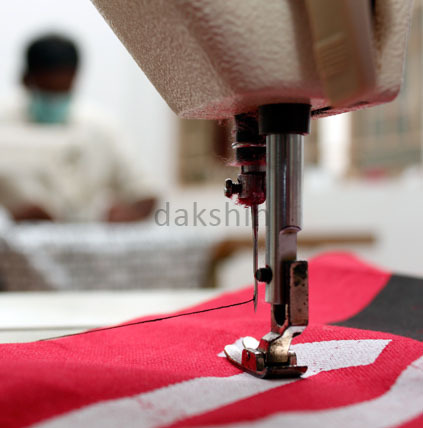 Dakshin Home Fashion's Factory has been directly audited by U.S customs and U.S homeland Authorities and we as a team are proud the we had been part of this program. We had been working hard in maintaining the System and Quality Control. We have a dedicated team always Monitoring ISO methods from the beginning of Production till the Cargo Dispatch ensuring Quality till the end. 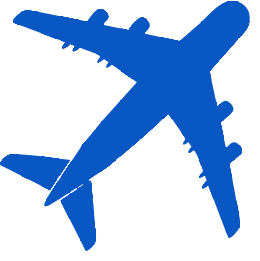 The Supplier Ethical Data Exchange (Sedex) was officially launched in 2004. Very simply, it aims to help improve the effectiveness of buying companies' ethical trade strategies by offering a facility for supplier companies to share their audits with multiple customers. Dakshin Home Fashions has achieved high results in Sedex Audits for the past few years thus helping our customers and with the newcollaboration of SEDEX & BSCI, it is now more useful to our customers for meeting their on Ethical Requirements. Having our factory Audited for Walmart & Disney's FAMA was a different approach, it combines all the above Certifications along with Walmart's & Disney's Special requirements. Dakshin's QA team has been trained to handle such audits very well and they have also attended various meetings at Walmart Global Sourcing Office thus helping us to stay up to date. 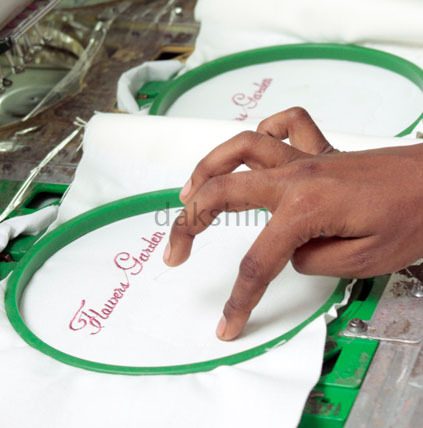 DAKSHIN strives to create the Best Quality Products at the most Economic Prices. To achieve the above we believe in the Policy of Continuous Endeavors in New Product Innovations and Designs , Clockwork Organizational Set Up, Strict Quality Control at each work flow by our Production Team and Extensive use of Information Technology to work better. Our products comply with Reach Standards and meets OEKO standards. The Organization uses Superior Yarn and Fabrics as its Raw Material and carries out Dyeing of the Yarn and Fabric through “Environment Friendly” AZO – FREE Dyes. After that, the most skilled Weavers and Tailors Manufacture the Products. It also employs an “Excellent” team of Professionals with Extensive Knowledge and Experience in the field, to rule out any Defects in the Processes and Products. To put it in a Nutshell, the Organization has the entire necessary Infrastructure under one roof to manufacture the Best Quality Products. Better Product + Better pricing + Better Attention = Best Customer Satisfaction.